1. 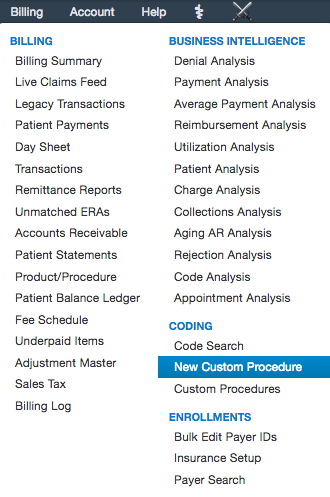 Hover your cursor over “Billing” tab and choose "New Custom Procedure". 2. 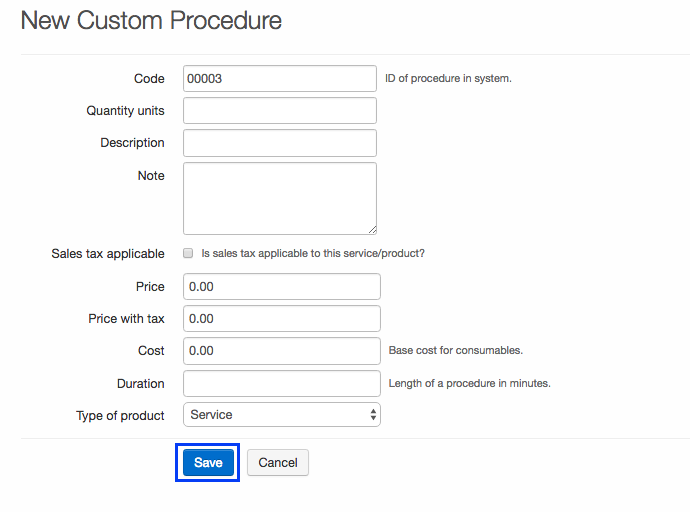 Enter the required details in the fields and click on the "Save" button. Note: The Custom procedures cannot be billed to insurance, you can only bill patient and the codes will not appear on the HCFA/1500 form. How does Live Claims Feed work? How to modify the name of the custom codes and/or descriptions.